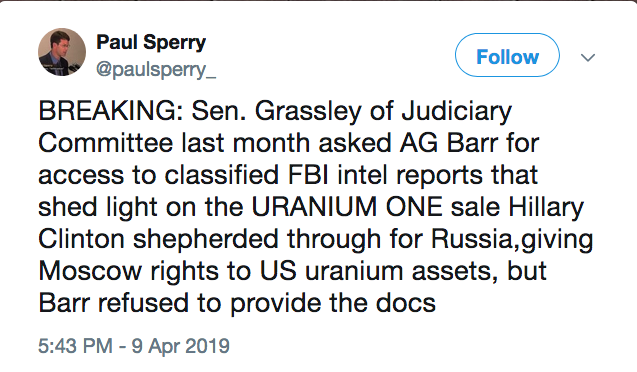 This now makes at least THREE simultaneous, ongoing investigations into these TRAITORS. I have a crush on Candace. Don't tell anyone! Great news. Interesting photo Fox chose at the top of that article. Diana West published a book The Red Thread: A Search For Ideological Drivers Inside The Anti-Trump Conspiracy which is only 132 pages long. I’m a quick reader but it is only a 2-3 hour book at most. I was sad to see it’s ranked 1,433 on Amazon sales. I was able to read it for free with kindle unlimited, so if anyone has that, I recommend reading this one. If not, maybe consider supporting her work and buying it. I enjoy how everyone views all of this from their own perspective and/or area of knowledge. Diana does a very decent job of digging into the people on the anti-Trump side, and how their common globalist/communist/socialist/pseudo power of control post WWII has been threatened by Trump. Don’t get me wrong. This feels rushed to press for some reason, being short in length and likely could have waited longer to add more detail as this played out. So I have some criticisms but overall for the readers in here, it’s worth the whirl. Because there is an ongoing investigation that, among other things, includes one Robert Mueller. Energy Resouces International Inc. is a lobbying firm & consultancy for nuclear fuel & power customers. It lobbied for Tenex in the Uranium 1 case, which means it attempted to influence US govt. policy in favor of the sale of U1. Within the thread is link to a liberal he used to follow who believes Gen Flynn was a part of this. Dawson Fields see's this link to Flynn as a sting as I am sure many of us also believe. You may have to enlarge your browser text to read. Wondering if this is the reason did not run again in 2018? Couldn't find info on the president Thomas B Meade. Convinced there is a Clinton/Obama connection here but need a better researcher than myself to follow up if anyone thinks it is worthy.